Ratpack is a non-blocking, open-source web framework for the JVM that gives applications the scalability and speed of an asynchronous applications architecture, without the headache. It is built on Netty, which is a popular non-blocking networking library, and exposes higher-level concepts to aid in the development of web applications. Ratpack is important because it allows developers to garner all the benefits of complex non-blocking through an API that makes that effort very easy to understand and adopt. Asynchronicity and non-blocking is an extremely complicated subject, and the level of complexity scales when considering it in terms of the web. This webcast will showcase some of the features of the framework through live demonstrations. 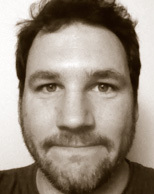 Dan Woods is an open source advocate and member of the Ratpack framework core team. Dan focuses on building high throughput, distributed systems and works in Netflix's Operations Engineering department where he develops continuous delivery tooling.